Licensed in Costa Rica, Mega Money Games is a scratch card room that is very popular in Europe and in the rest of the world. Barely one year after making its debut on the Web, Mega Money Games has positioned itself as a leader with the potential to increase its visitation rate by 50 percent. As such, the operator now enjoys the biggest percentage of market share in Europe and has even managed to overshadow some online casino rivals. 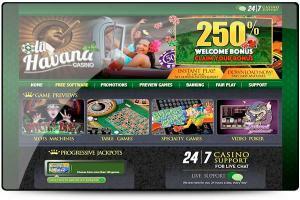 Specializing in scratch card games, Mega Money Games offers mainly scratch cards to its users. Made popular thanks to the allure of its titles Cash Cuisine, Barn City and Viva Mundial, Mega Money Games offers precisely fifteen fun and thematic scratch card games, as well as other attractive casino games such as slots, Poker, Blackjack, Casino War and lottery games. On Mega Money Games, users may also bet on Bingo and Keno. This scratch card site is powered by in-house software, Mega Money Proprietary Software, which provides graphics, animations and soundtracks of high quality. Founded in 2009 by the company Dream Makers S.A., Mega Money Games thus has the privilege of being one of the rare virtual scratch card rooms to have developed its own software, an indication of the comprehensive expertise and know-how of an operator that figures as one of the best of its genre in Europe. Mega Money Games helps it new members to load up on gifts. For instance, the welcome bonus of the operator figures as one of the best on the market: it offers a rate of 300% on a new registrant's first two deposits, enabling him to triple the amount he arrived with. New players can also double the amount of their first deposit up to €200, thanks to another attractive promotion that is only available to newly-registered bettors. In addition, the operator offers a 15% bonus for the use of alternative payment methods, as well as a no-deposit bonus which amounts as it does to €7. Mega Money Games accepts three international currencies, being the euro, the U.S. dollar and the pound sterling. On Mega Money Games, players may make deposits and withdrawals with options including credit cards and electronic wallets. Indeed, the operator offers its members a dozen deposit and withdrawal options. Among them, one will find VISA and MasterCard credit cards as well as the e-wallets NETeller and Skrill.